- Added the following light fixture categories and symbols: Surface, Recessed, Vanity, Ceiling Fan, Ceiling Fan w/ Light, Fluorescent (Surface Mount). Now that I've reworked the light fixture module it is much more conducive to adding in additional light fixture categories/types, at some point I may even allow the user to add in custom categories. I still need to add in the fluorescent suspended and recessed categories and their corresponding symbols. However, I usually won't add in a category until I have a minimum of one default fixture to place into the library for that category. Note that when you rotate a light fixture or its box the symbol does not rotate. The exception to this rule is with the fluorescent (ceiling mounted) light fixtures. As you can see in the image above both the symbol and label are rotated with the fixture. - Added an advanced option for outlets to display the outlet height with the 2D symbol. If this advanced option proves popular I can also add it to switches, low voltage outlets, safety devices (wall mounted), and light fixtures (wall mounted). This advanced option is per customer request. 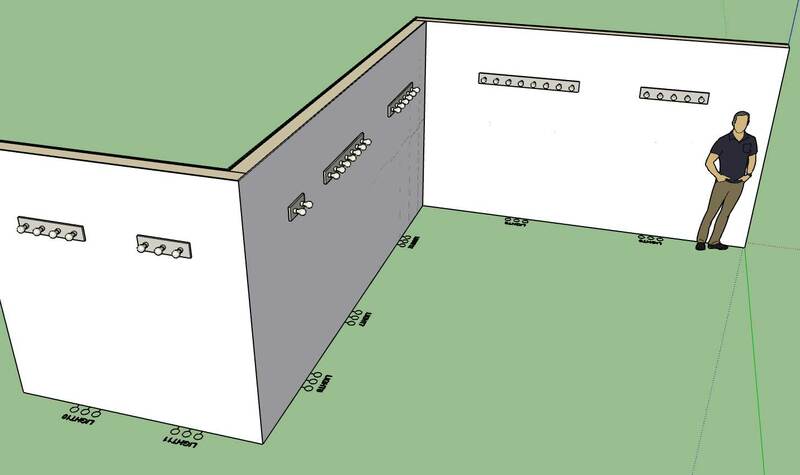 On my own electrical plans I typically don't call out the switch or outlet height however in some cases I have provided a height call out with GFCI outlets installed in the garage. - Fixed a bug with the data logging module. Not exactly a critical fix, just another box to check off. Some of you may have noticed an occasional pop up that warns about an error connecting to the Medeek server. This fix should resolve that minor annoyance. Ultimately the number of included electrical devices and fixtures will probably exceed the amount of devices that I want to package as default with the plugin. My thinking on this is that down the road I can provide "packs" that the user can drop into the appropriate plugin library sub-folder to add more pre-configured components to the plugin. For example the commercial electrician or designer may want a much larger selection of fire and safety devices than the average residential designer. It doesn't make much sense to overly bloat the plugin size to include all of these specialized electrical components when most of the user base will not use them. Rather it makes sense to provide these electrical device "packs" as an upgrade type feature where the user decides for themselves which additional devices they would like to have available for their use. Also if enough people utilize this plugin it may also garner the interest of some of the manufacturers who then might be willing to provide some "official" models of their hardware (low poly preferably) for use within the plugin. 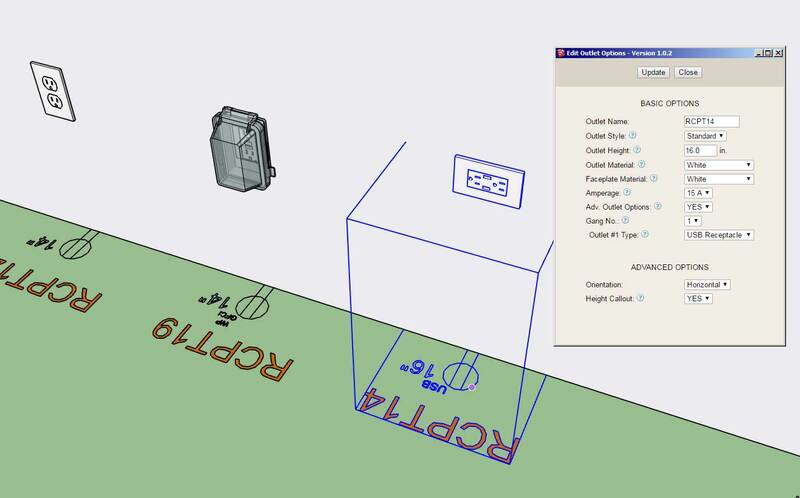 Looking at a number of manufacturer's websites lately and there is only a handful that provide any sort of 3D models and those are usually in Revit. I would like to see more SketchUp models become available. 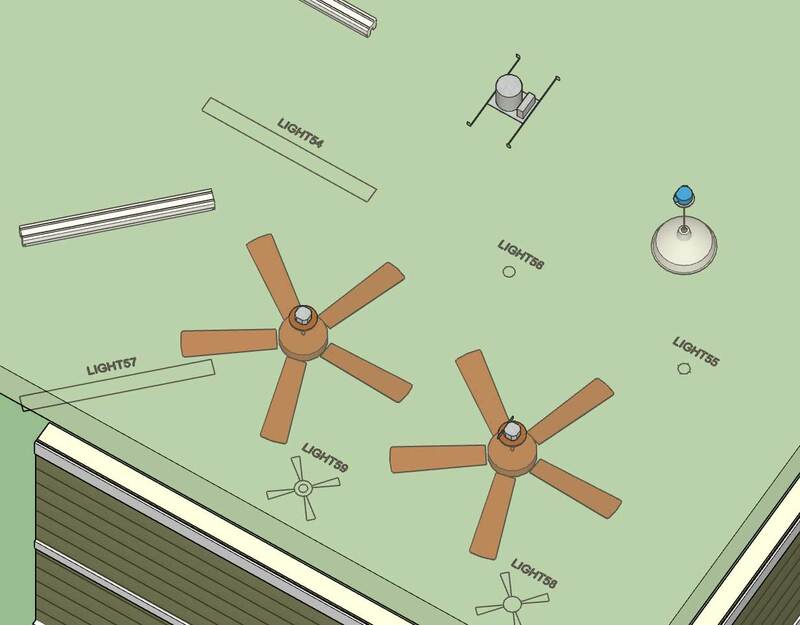 I need to add in the option for ceiling fans and ceiling fans with lights. 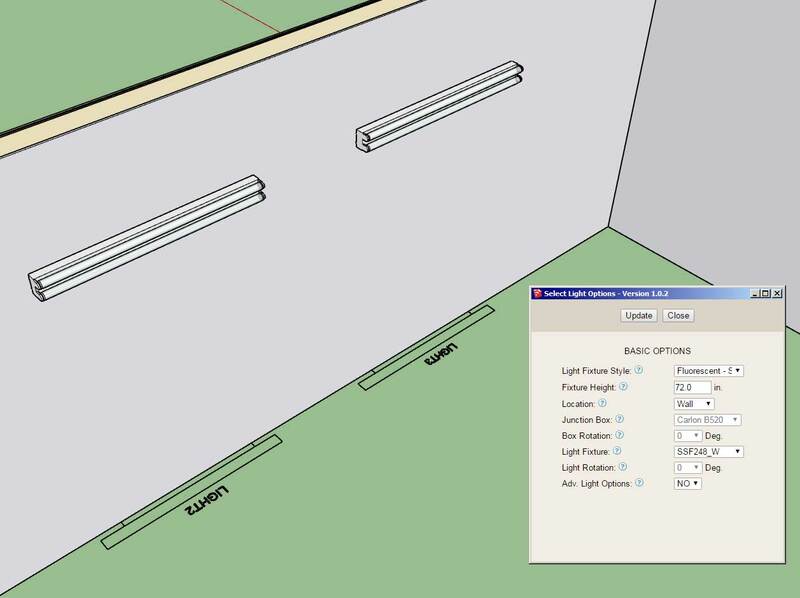 What would be the suggested 2D symbol for these two light fixture options, I would like to keep it fairly simple but appealing. - Fixed a bug with exterior wainscoting. - Fixed a bug with midspan blocking and wall presets. - Added the Shearwall toolbar and icons. The fix with the midspan blocking and the wall presets is a critical fix if you are using wall presets and I would highly recommend upgrading to this latest version of the plugin.